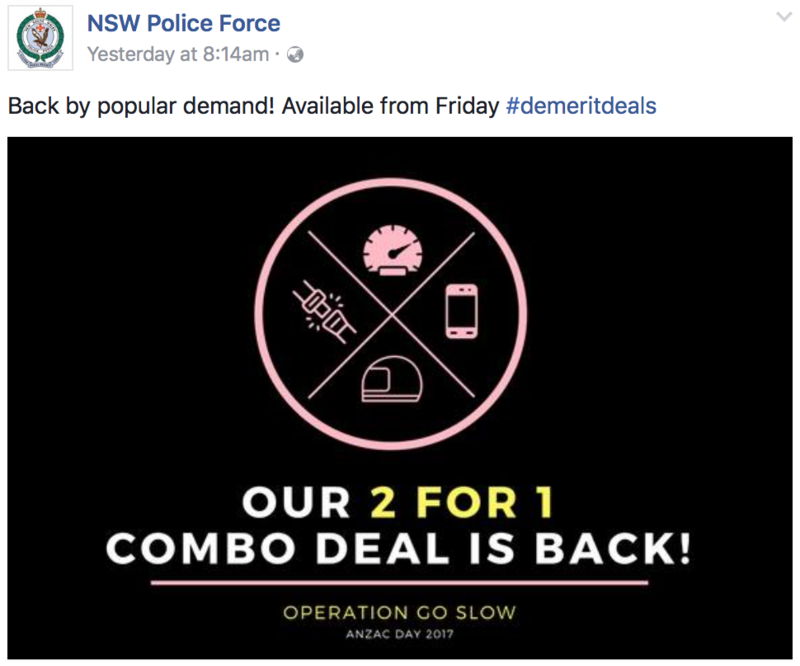 If you’ve been closely monitoring your Facebook feed lately, you may have noticed a dramatic change in the NSW Police Force social media strategy. Their humorous and casual tone was a bit of a risky change for a serious government agency, but it seems to have paid off, resulting in a significant increase in their youth engagement. Knowing how difficult it can be for a government agency to successfully engage young people, YouthSense reached out and asked them some questions. We wanted to know who was behind this genius and how it was being passed through higher authorities. Young people tend not to see the words ‘government’ and ‘funny’ as synonymous, let alone funny enough to engage the enigmatic youth of today’s world. And yet, here they are, using memes and Eminem lyrics to win the hearts of youngsters, engaging them in issues affecting their communities and maybe even reducing some crime in the process. 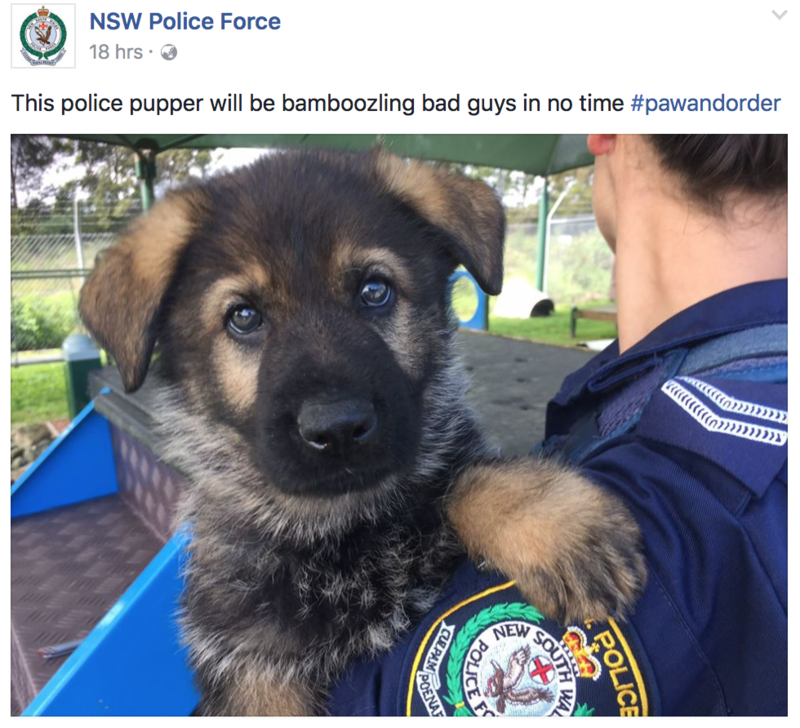 The NSWPF is a great example of a serious organisation using humour without sacrificing their integrity or their message. And it’s working. 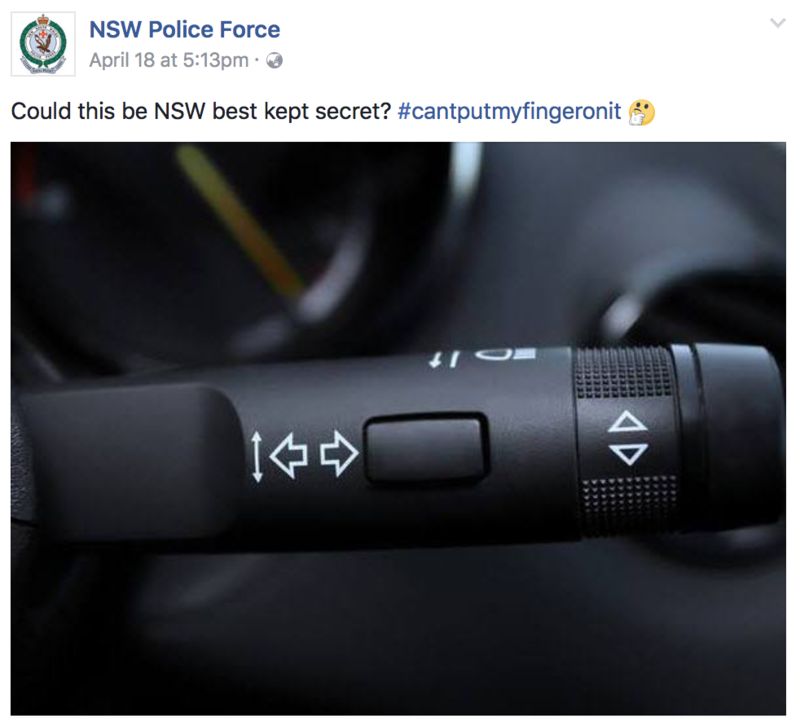 NSWPF reported that 81% of their surveyed audience agreed or strongly agreed that communicating with the NSWPF over Facebook made them feel ‘more positive towards Police’ and 83% agreed or strongly agreed that the NSWPF Facebook Page made them ‘more informed about Police work’. The proof is in the pudding. The Facebook algorithm, one of the most influential and yet mysterious algorithms in the world, is designed to deliver the most engaging content to Facebook’s users based on their activities online. As much as we can criticise memes and ironic hashtags or think them entirely ridiculous, it’s not about us. Young people are crazy about them, therefore the algorithm favours these updates. As marketers, youth engagement specialists or content strategists with a youth market, we need to make sure we’re engaging with them too. When consulting with other industries, we frequently struggle to articulate exactly why these strategies are important to master. Young people know when you’re trying too hard and they won’t hesitate to point out the fact. What they require is authenticity, consistency and social relevance. And how is this achieved? Usually through another young person, who inherently knows what works and what doesn’t. Many reject this approach to youth engagement simply because they believe it will damage their brand. The reality is, 62% of young people say that ‘if a brand engages with them on social networks, they are more likely to become a loyal customer.’ They expect brands to know where they are and to be engaging. Download our report to read more of our research and unique youth insights. Where Does The Problem Of Youth Disengagement Stem From? Can Government Cash Attract Young Apprentices When Schools Don’t Care About Trades?